← So What Did You Do Last Weekend? 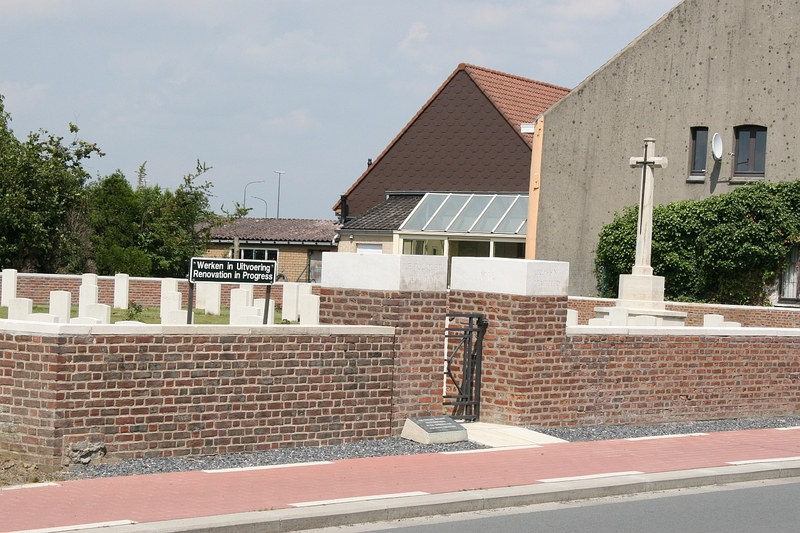 The work of the CWGC never ends, and Le Touquet Railway Crossing is one of a number of cemeteries I have visited where a renovation in progress sign greets you on arrival (St. Julian Dressing Station Cemetery for example, where Baldrick and I found ourselves only a few days ago, currently resembles a building site*). 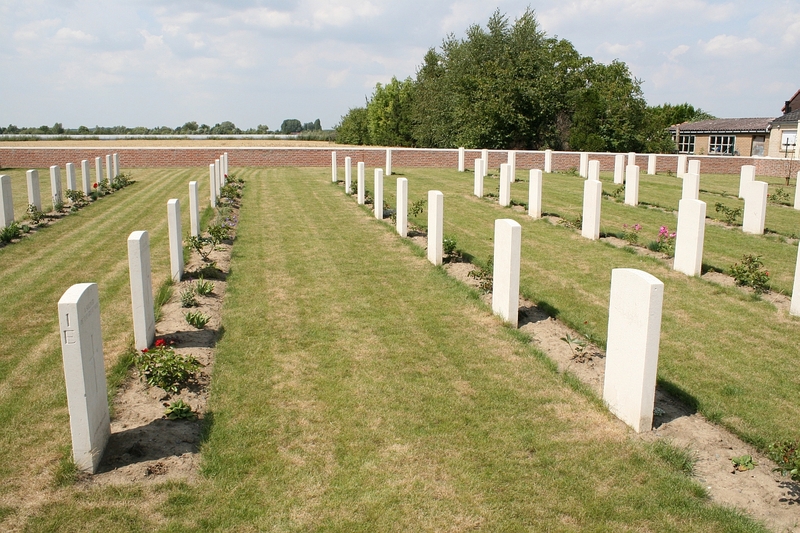 There are just 74 headstones here of which 24 are unidentified, the cemetery only being used between October 1914 and June 1915 (and not June 1918, as you will read everywhere else on the web). 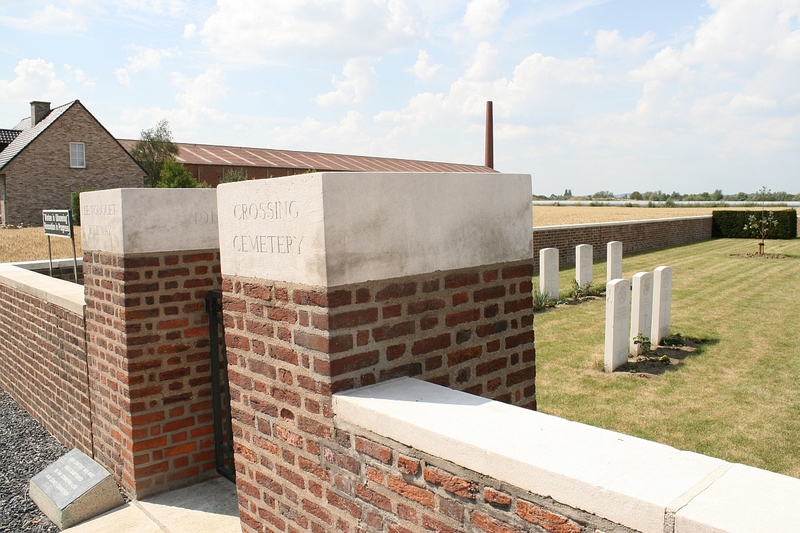 I suspect that because of its proximity to the front lines this place simply became too dangerous to use any more; its name suggests a location on the map that could be easily targeted by German guns, and the presence here of three men ‘known’ or ‘believed to be buried in this cemetery’, whom we will visit later, suggests that the area was heavily shelled during later years. 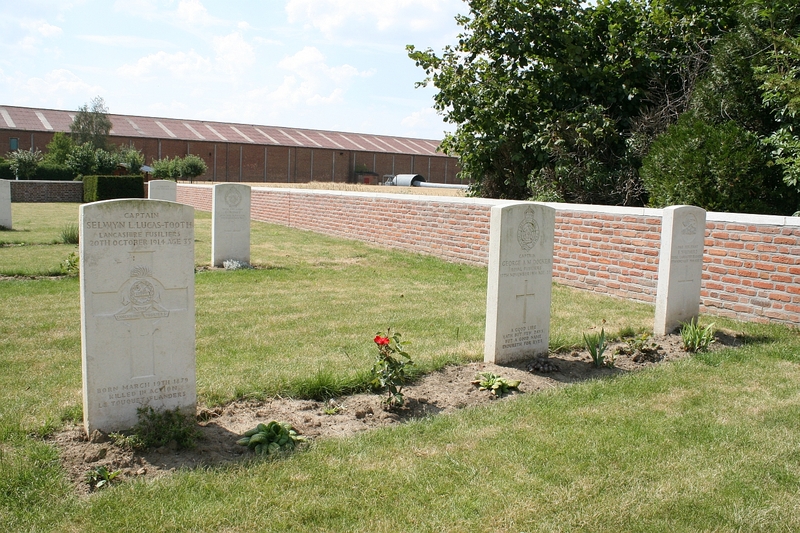 Two unknown men of the 10th Hussars, presumably also killed in October 1914 along with the men of the Rifle Brigade and the King’s Own who lie on either side of them. Looking north along Row A towards the Cross of Sacrifice. View from the north west corner of the cemetery looking south (above) and west (below). Above and below: The headstones nearest the camera in both pictures appear to bear the same Memorial Reference number of B1, which is rather curious because in actual fact neither of them is B1! Rifleman Marshall (above) should be B8, and Rifleman Davey (below) should be B11, so what exactly has happened here is quite beyond me. Any ideas? 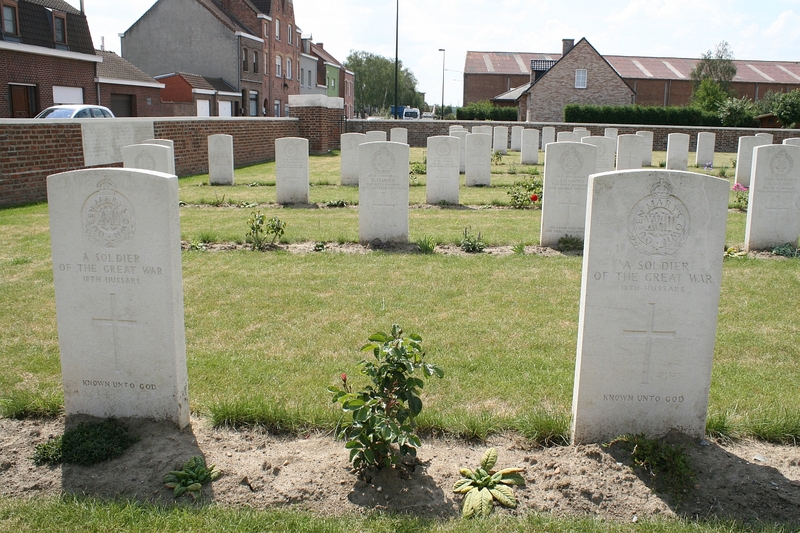 The final burials, four men of the Leinster Regiment killed in late May and early June 1915, are visible in Row H behind. 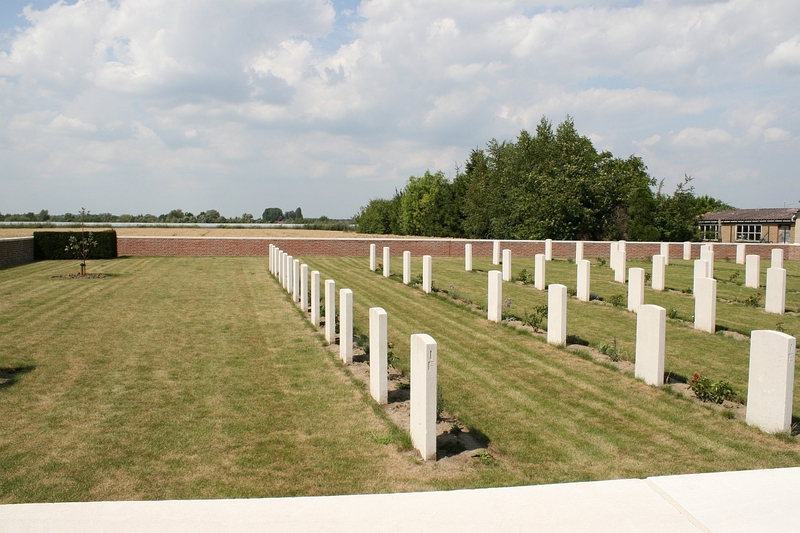 Above and following two photos: As we take our leave, this view pans from west to east over the cemetery wall. Ok Balders, that’s another tour done and dusted. Thanks as ever my friend. Where to next? St. Julian Dressing Station Cemetery, 12th January 2013. 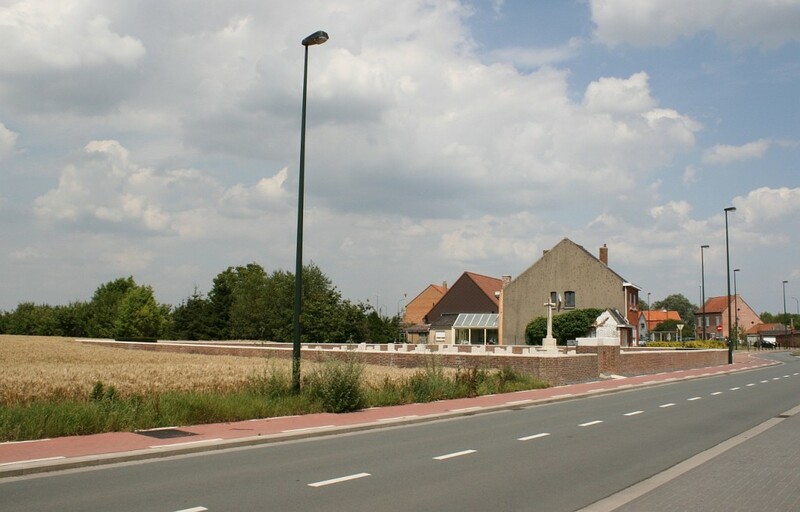 This entry was posted in Ploegsteert, South of Ploegsteert. Bookmark the permalink. Le Touquet Railway Crossing Cemetery…I like what you have done here and recall going their a few years ago to find my Grandfather’s resting place….He was killed on the same day as Captain Lucus and they were both buried their as shown in the battalion records…..Sadly no mention of my grandfather is made anywhere in the cemetery…..I wonder why……..Regards R Gemmell. Appreciated, Raymond. It does indeed make one wonder where your Grandfather now lies. 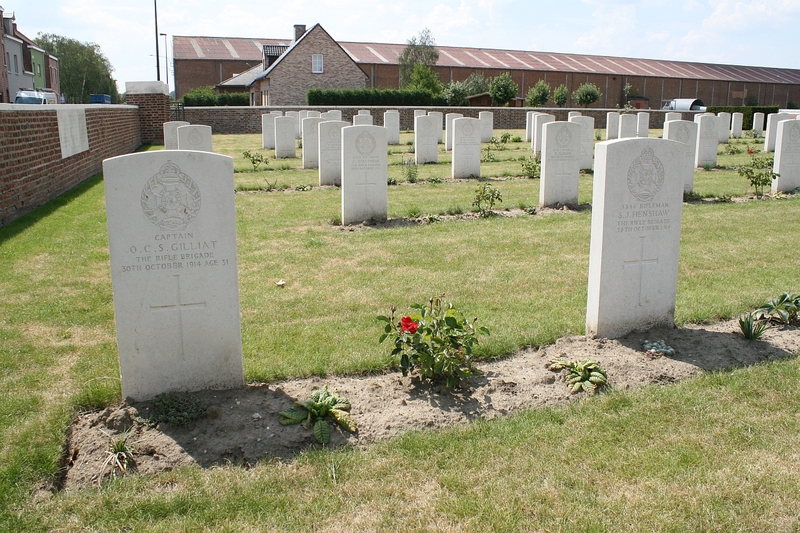 Did the Battalion bury any of their dead elsewhere at roughly the same time, do you know? 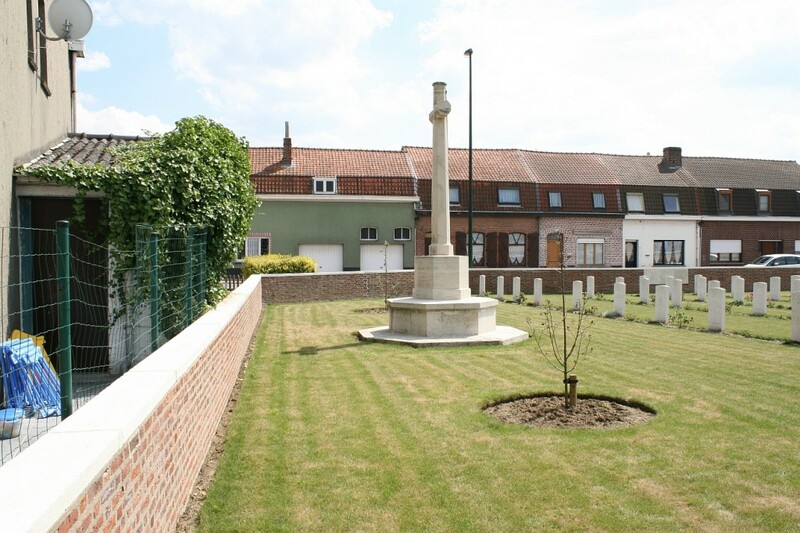 I shall be a stone’s throw away from Le Touquet some time over this coming weekend, just over the French border in the Houplines area, but I shall not be re-visiting on this occasion. Another time. 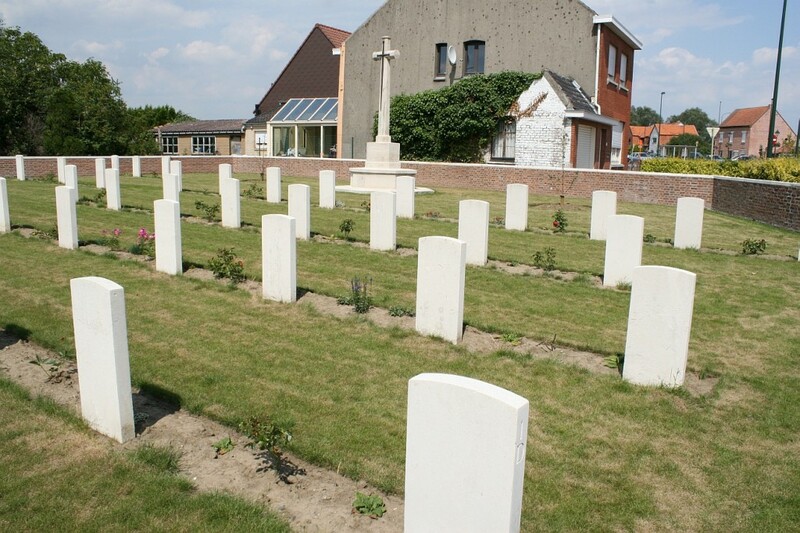 Hi…It’s been a while now since i have been to the Le Touquet Railway Crossing Cemetery….You prob. 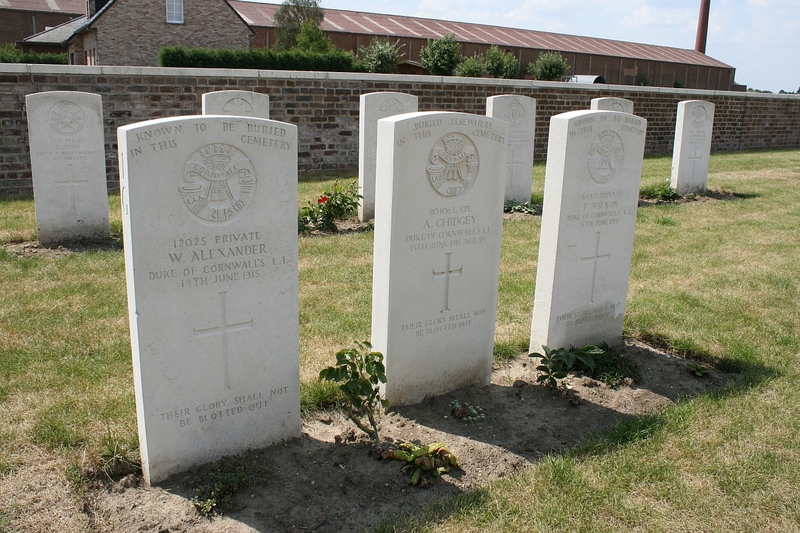 will know that in 2010 the remains of six Soldiers were found at the railway colvert and their may be a posability that one of the remains is my Grandfather…..I have been contacted by the MOD and have sent them a DNA sample as they requested…( I will keep my fingers crossed and hope that my Grandfather was found ) …. Wow! Can you imagine? My fingers are also crossed for you Raymond. You gotta let us know when you get the results. Please! Hi …”Still waiting”…If i re-call the last time i visited the Crossing Cemetery their was a small plaque with a few names’s of Soldiers who were known to be buried their but had no headstone…..Do you have a photo of that……If i remember it was on the left hand side as you went into the Cemetery…..Regards….Raymond. Hello Raymond. Honestly, I don’t remember a plaque and I can’t see it in any of the photos, including the ones I didn’t use in the post. Sorry, can’t help on this one. 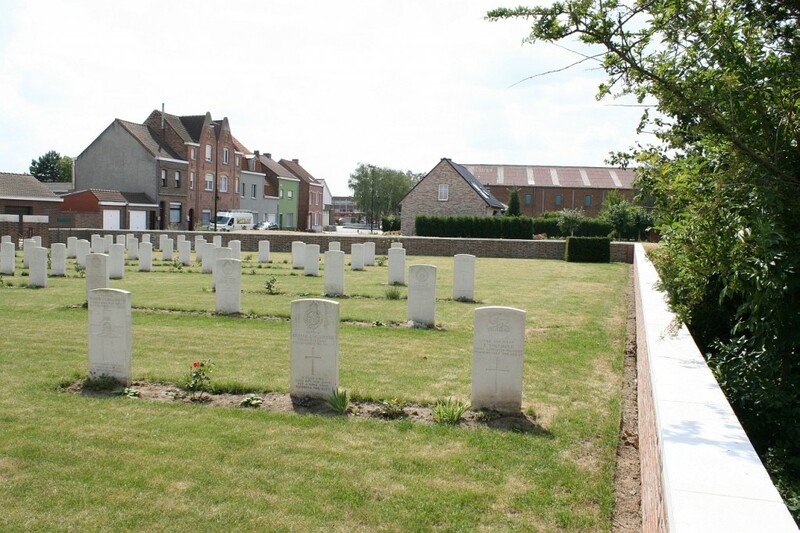 Hi..Thank you for your reply…..I understand that if it is known that a Soldier was buried in this Cemetery and that the grave has been lost by Shelling that a soldier should be remembered by a special plaque of some kind as has been done before…..Regards….Ray. Ray, there are quite a few cemeteries where you will find what are called Duhallow blocks (there are examples elsewhere on this site – put ‘duhallow; in the search box near the top of the page) but this cemetery is not one of them. 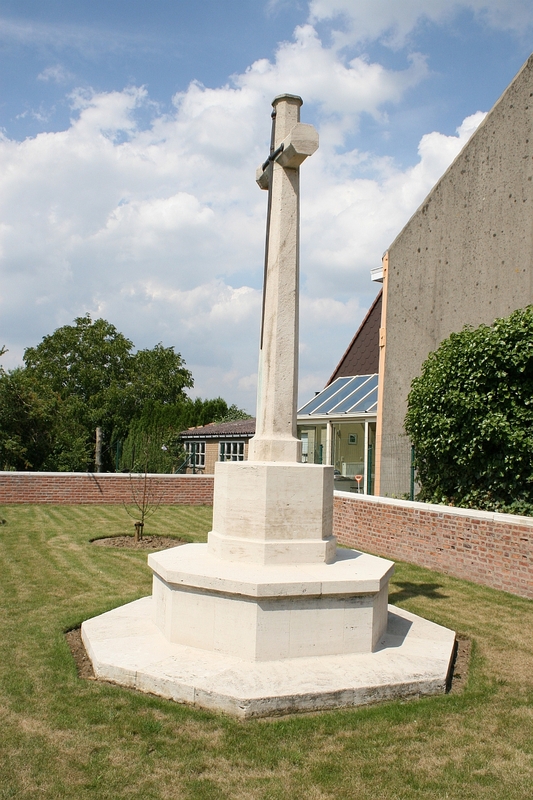 Otherwise, soldiers who are believed or known to be buried in a particular cemetery are remembered with a CWGC headstone with the soldiers name and details, and ‘known’ or ‘believed to buried in this cemetery’ inscribed on it. Can you give me any more details on your Grandfather so that I can look in to this a little further? With your permission, of course. 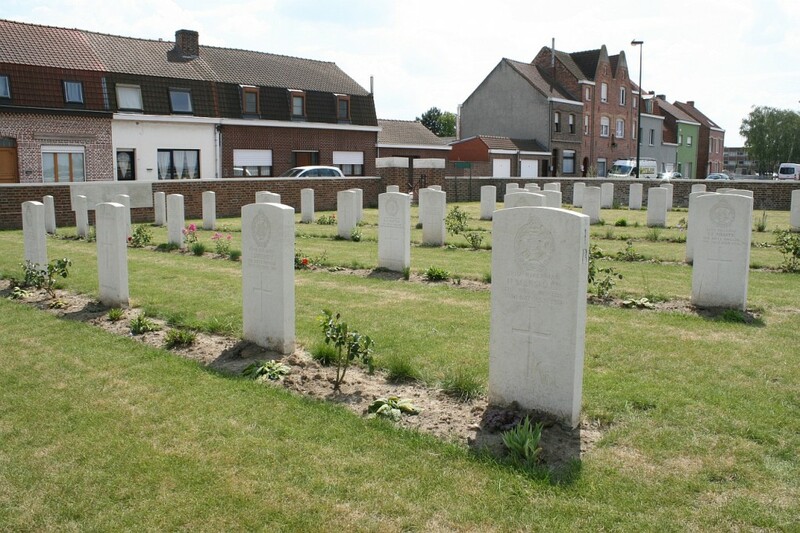 Hi..Thank’s for your interest….In the Burial of Officer’s and Men recorded in the Lancashire Fusiliers it states that My Grandfather James Gemmell .. 9050 was killed on the 20Oct. 1914 and also Captain Lucus…..They were both buried in this Cemetery…I cant seem to copy onto this page the document i refer to….But it does state they were both buried here…..Regards….Ray. Hi Ray. 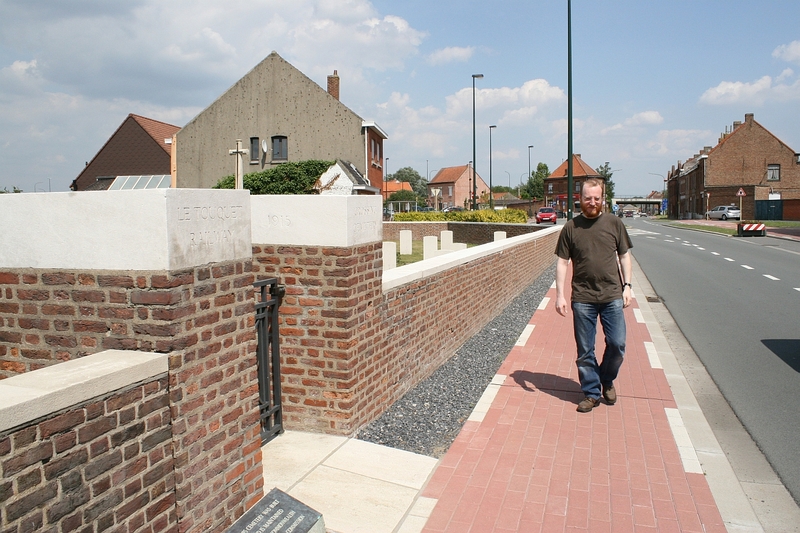 You are aware James Gemmell’s name is inscribed on the Ploegsteert Memorial to the Missing? 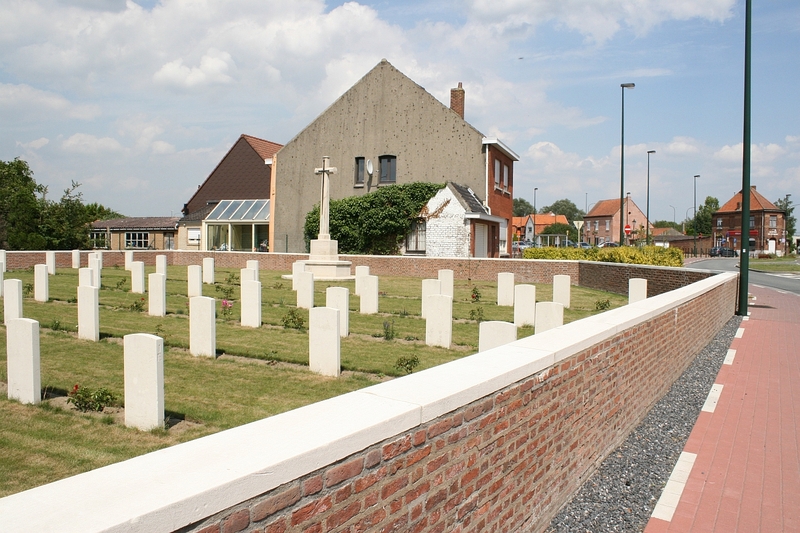 * Which of course fits in perfectly well with his original burial being in Le Touquet Railway Crossing Cemetery and his grave later being lost. Thus he is missing. I wonder whether you have enough documentation to go to the CSWGC and ask them if they would erect a ‘known to be buried in this cemetery’ inscription? I wonder what their criteria is. Worth a thought, maybe? *I can find no reference to a Captain Lucus anywhere on the CWGC site. Yep, Ray, that makes sense. I am writing to you in French as in English this srait difficult and long for me. Frelinghien (F). Furthermore, the railroad track Armentières-Comines. These three items were heavily bombed during the First Battle of Ypres. Moreover, it is the only cemetery [in] the municipality of Comines where we find 24 graves of unknown soldiers. Why? 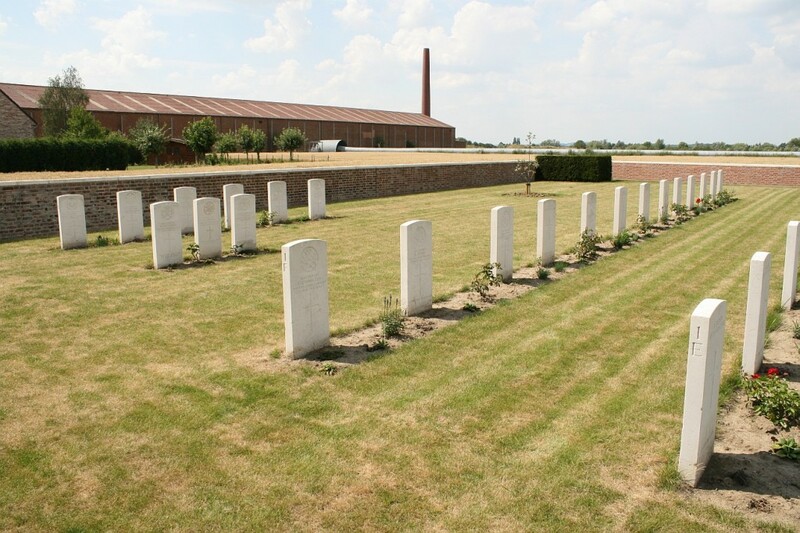 The first body of LF 2 were put in this cemetery October 18, 1914. Raymond Gemmell was well buried in the cemetery at the time of his death, ie October 20, 1914. 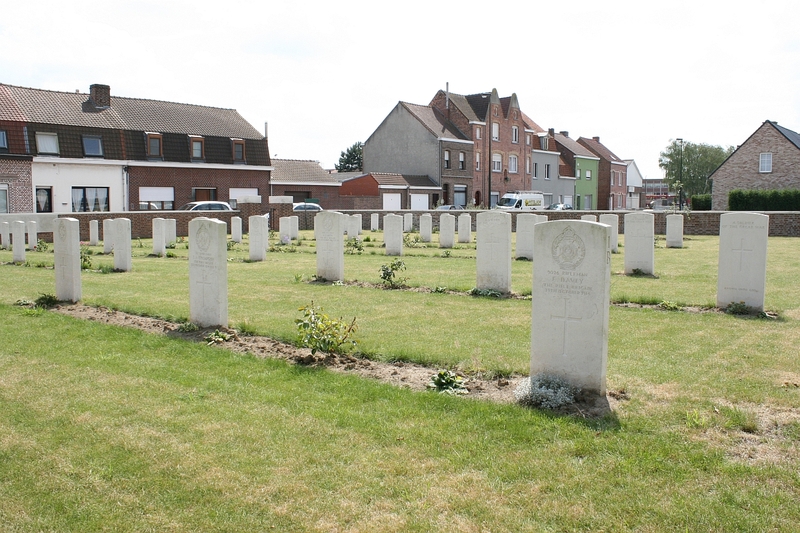 Raymond Gemmell, number 9050, was killed October 20, 1914; Le Touquet Station, Belgium. 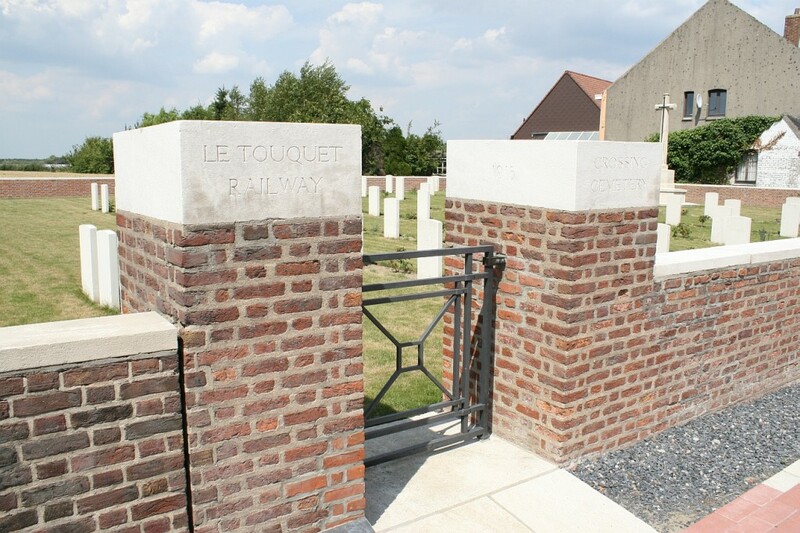 Unfortunately railway affect the cemetery Touquet Station. The tombs upset not possible to identify (for some) a second time the body. I have some pictures of the station and surrounding area in December 1914. One thing is certain for me, the remains of Raymond Gemmell lies well below one of the tombs of the unknown soldier at the cemetery ‘Touquet Railway Station. Le Touquet / The Gheer / St Yvon. The above should read James Gemmell and not Raymond who was burried in the Cemetery……..Regard’s …. Very interesting Raymond, and as you say, what a kind offer. So it seems that James is one of the unknown burials here, and by the sound of it, we now know why.